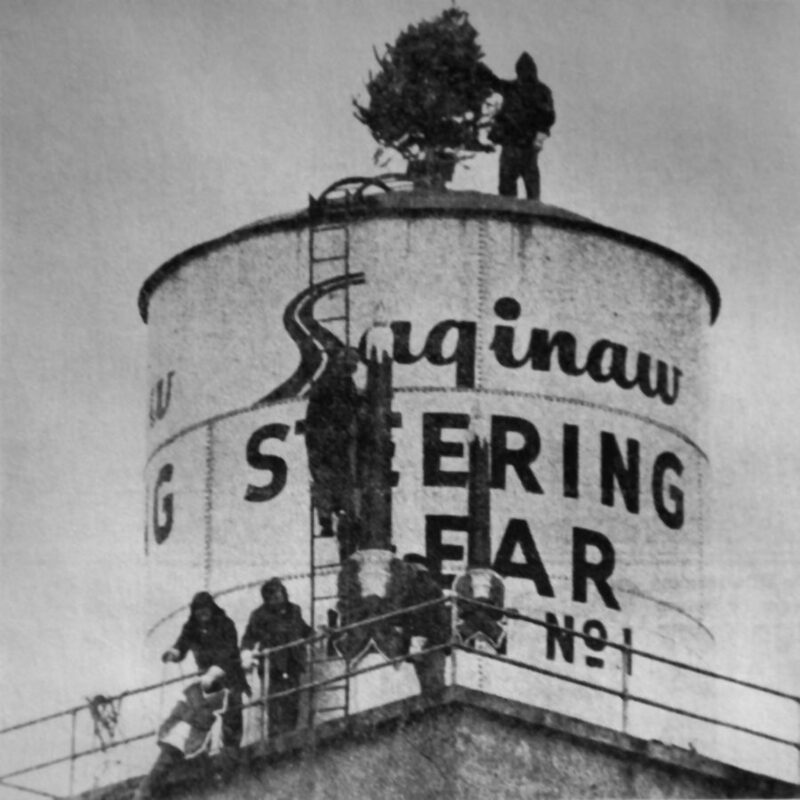 I found this photos of workers decorating the water tower on the roof of Plant 1 for Christmas. 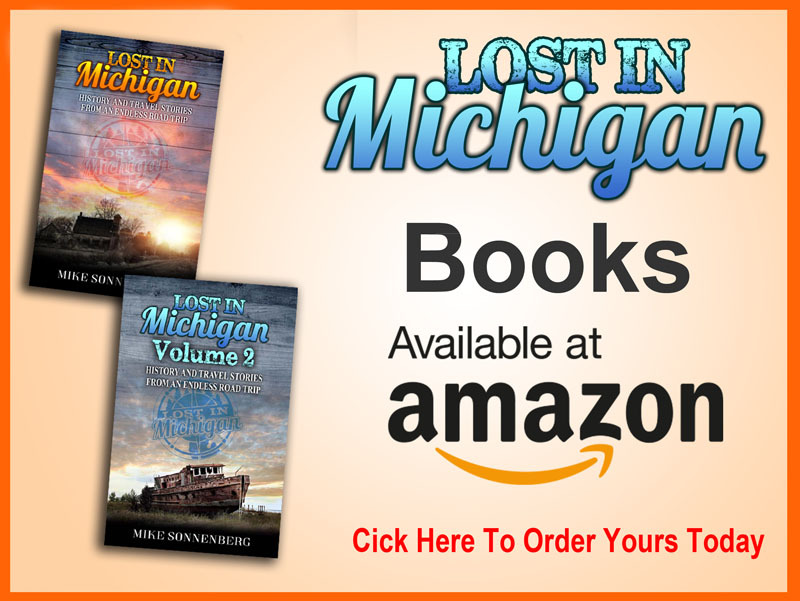 Steering gear started out as Jackson, Church, and Wilcox on Hamilton Street in Old Town. 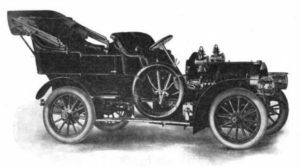 The factory became Plant number 1 of Steering Gear. It’s gone now but I did find this old photo and the memories still linger on. 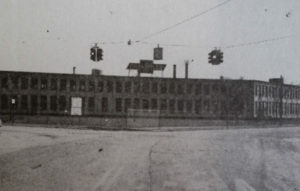 Driving down the 1000 block of Rust street you see giant slabs of concrete surrounded by fencing, it is all that remains of the Eaton Manufacturing Plant. 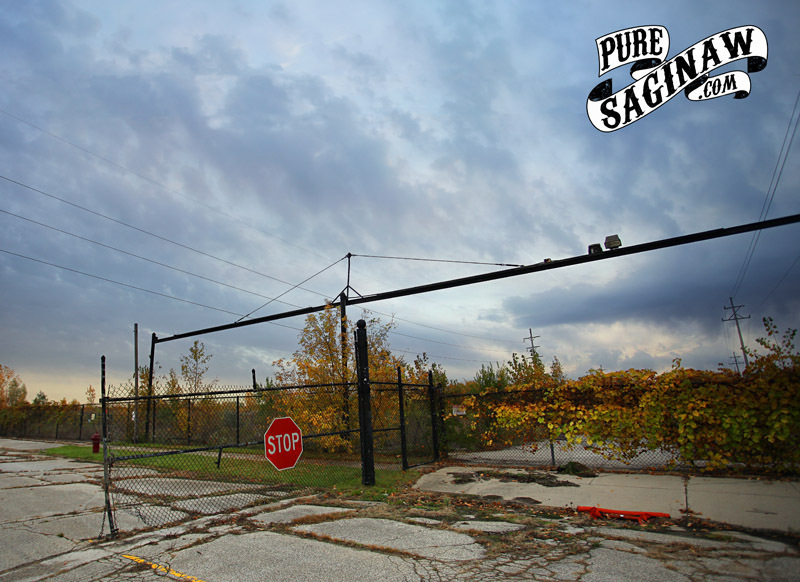 The factory closed in the early 2000’s when the company decided to make its products in Mexico and the plant was razed in 2008. I was never in the plant, but it was important to me since my grandfather, on my dad’s side, worked there for over 30 years. He retired the year I was born, and he passed away when I was 34 years old. On my 30th birthday I joked with him, that he was retired longer than he worked. 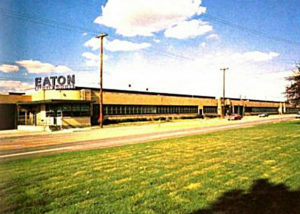 The plant started in 1913 but I am not sure of the original name and it was eventually acquired by the Eaton Corporation. 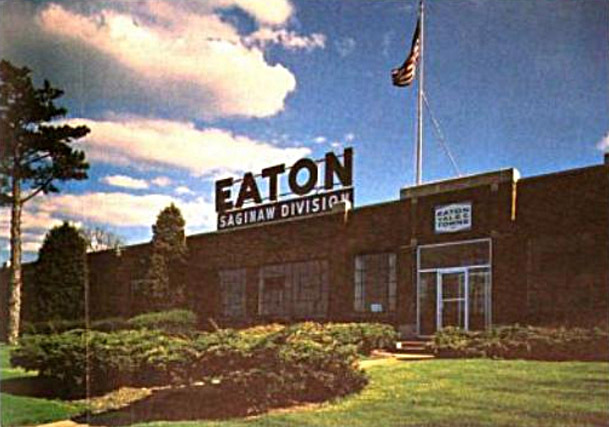 The main product was hydraulic valve lifters inside engines, and at one time the Eaton plant was the largest manufacturer of lifters in the country. 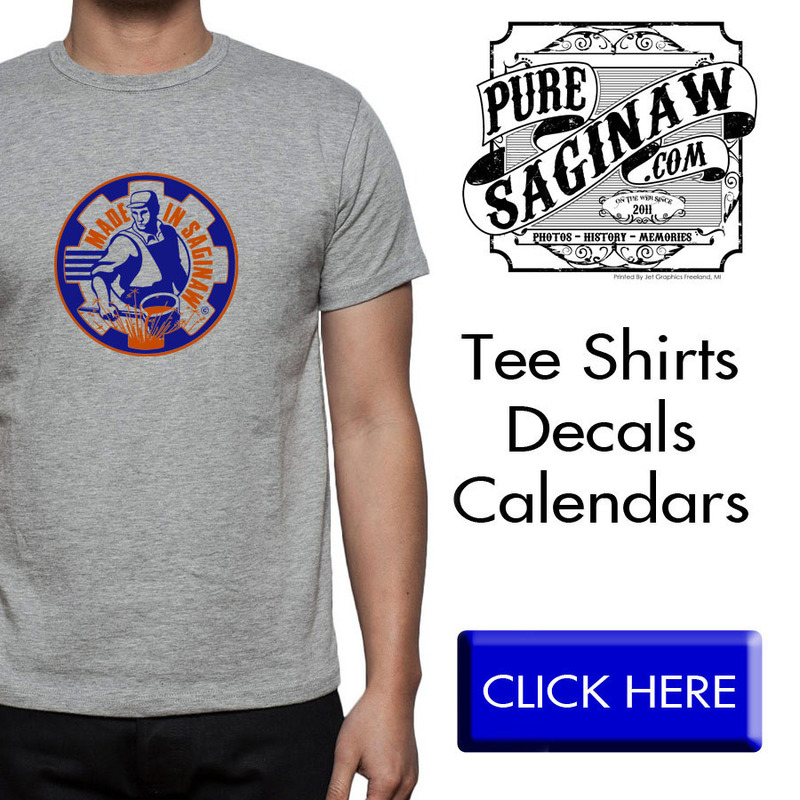 I can only imagine how many cars and trucks had lifters made in Saginaw under the their hood. The week that the plant closed, I drove by it on my way home from work, and I can remember seeing the tattered dirty and torn American Flag waving from the flag pole thinking to myself, “that’s fitting, since they are moving to Mexico” My Grandparents, my Dad and his brothers, had a pretty good life living in Saginaw from the paychecks my grandfather revived while working at the plant. 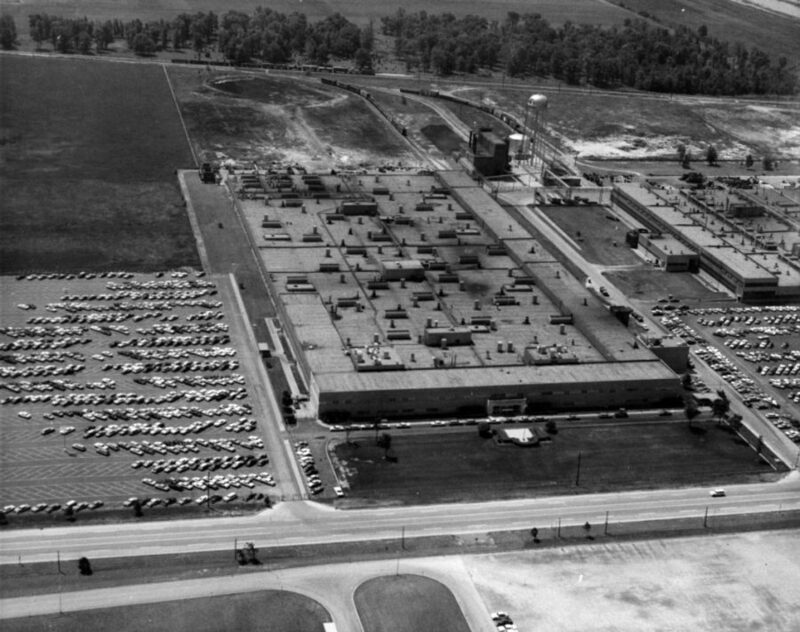 if you worked there before 1970 you probably worked with my grandpa.